Let There Be Lacquer: May Favorites! I see other bloggers posting at the end of every month their favorite things. I am a creature of habit so I feel this could get repetitive but I thought I would give you a glimpse into my world. These are my favorite things for the month of May or the moment as I like things and stick to them. Don't worry I won't bore you every month with the same stuff, but if I come across worthy items, I promise to share! First up is my basecoat. I always had trouble with staining and would buy and try a new base every few weeks trying to find one that 'liked' my body chemistry. Back in January I was lucky enough to find one! 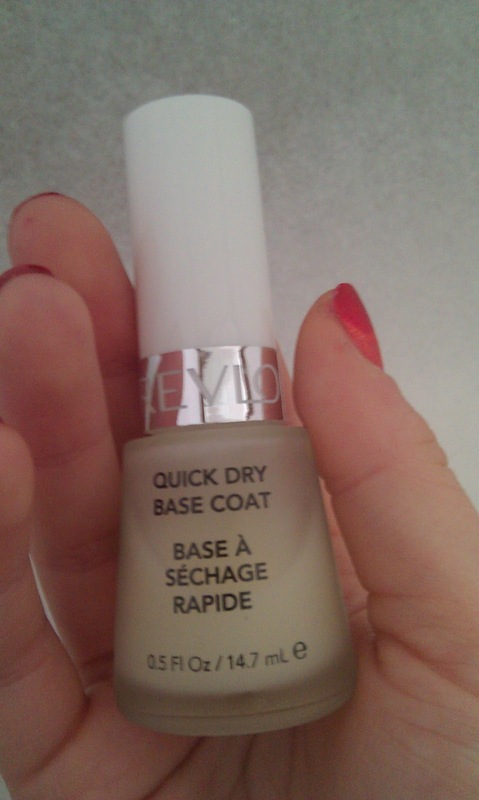 Revlon Basecoat has dramatically saved my nails from staining. I have to say its my favorite I have tried so far. Next I have to mention my glass file. I know I know, most of you have heard this all before but seriously people, if you are still using a cardboard file, DITCH IT! 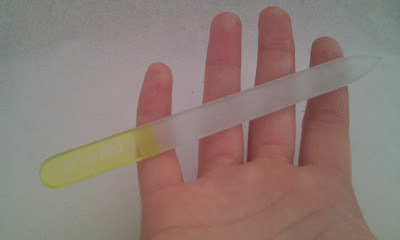 I can't tell you how much healthier my nails are now that I have invested in a glass file. I got mine on Transdesign for around $5. I know you can get them at Sally's. Shop around, I have seen then in places like Big Lots and Mardens for cheap! I have a little bottle shot for you! This I swapped for and am in LOVE, I haven't worn it yet, but when I do I'll be sure to show and tell! Zoya Lola is SO hot pink, it's perfect for summer! I am really wanting the CG Summer Neons but can't afford them, so I traded for this. No Summer neons but I am so happy with it! I also have favs that are not polish related. I bought this cup at Ocean State Job Lot. (Like a TJMaxx but for everything) I paid like a dollar for it and I am in love. I use it everyday! 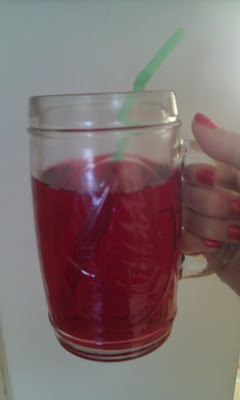 There is something about the mason jar feel and the handle that I just adore. 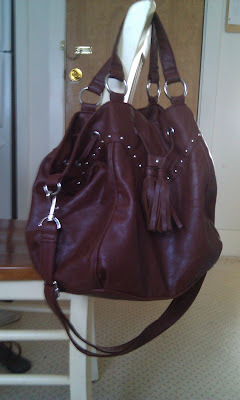 The bag I am sporting this month has been something I am really loving. I am one to carry a big bag anyways but this bag is great because I can carry it on my arm or over the shoulder. I can pretty much carry any and all that I need! I actually used to use it as an overnight bag! And last but not least! I have been obsessed with Circus Peanuts this month! Weird I know, they are a treat that you either love or hate. 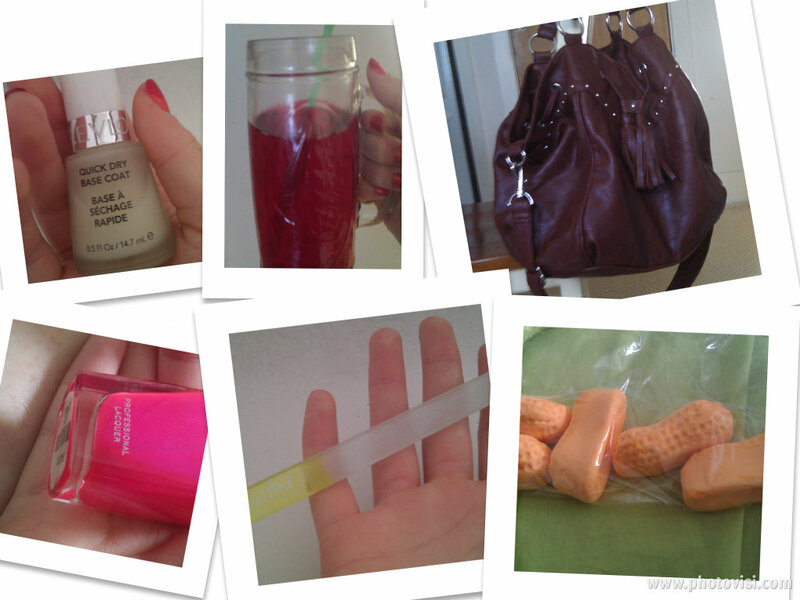 The pic below is what is left of my current bag! I hope you liked this post of my favorites for this month! Let me know if you would like to see future posts like this one! 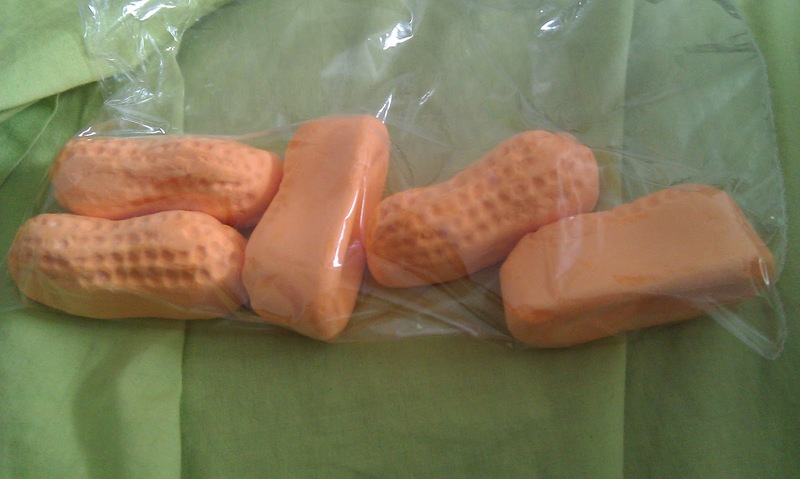 I also love that you managed to work circus peanuts into your blog - I'm impressed! LOL they are my fav. What are circus peanuts? I mean I see they're the shape of peanuts but they look foamy...? They're boggling my mind. And- clearly I use the wrong kind of glass file. I have one but it doesn't seem to have much grit to it. It doesn't file my nails enough so I never use it. Do you think I should try a different brand or are they all kinda weak as far as the filing goes? I like to file my nails shorter, not just smooth the edges if that makes sense. Circus Peanuts are made of marshmallow! It's a different consistency than regular marshmallow though. I love them! The glass file I use files just fine. It files as good if now better than an emery board. If your filing short it will take time no matter what your using. Some people would suggest clipping to the length you want and just shaping with the file. I have never done this though. My nails grow really fast so I have to file every day or every other day to keep them about the same length. Hope I was of help!